Our Salesforce development services revolve around providing enterprises with a well-rounded solution which is robust and fulfils the business and day to day objectives of the organization. PSI has had comprehensive experience in integrating salesforce with multiple systems securely with help of SOAP/REST with XML/JSON over simple Basic or “OAuth 2” authentication.We have integrated Salesforce with popular APIs/Platforms like Amazon Web Services (S3, SES, EC2, Lambda), Google (Tasks, Calendar, Maps, Places, GeoCode, Charts), etc. We at PSI have delivered custom solutions with the help of Apex, Visualforce, Flows, and Triggers. Leverage our expertise for a scalable and ensure a robust foundation for any solution delivered. We deliver feature-rich mobile applications with the help of Salesforce1 Lightning custom app development and native apps for iOS and Android through the Salesforce Mobile SDK. We realize shortcomings of with mobile web and know how to deliver apps which works really smooth on Salesforce1 mobile. We at PSI believe in giving more value to the clients and partners, we Empower your customers, and partners without leaving Salesforce. We know how to give best and most intuitive UX for customers and partners, and give your more ROI on Salesforce licenses. Our Salesforce Lightning service offers greater productivity, smoother operations, enriched user experience as well as the reduced time period to develop apps. We at PSI help you easily changeover to Lightning smoothly and in the least time. If you have a recent Salesforce Implementation or are migrating from Classic to Lightning we help you install Lightning without disrupting your everyday business. 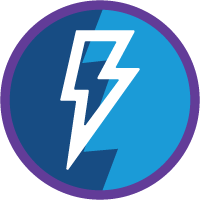 Lightning components offer a client-server framework seamless for use with the Salesforce Lightning Experience as well as with the Salesforce mobile app. It speeds up progress along with ramping up app performance. This helps you can create apps not needing code employing the bespoke and off-the-shelf Lightning codes. The Salesforce customization service experts at PSI perform brief requirement and source gathering analysis. Salesforce has millions of users worldwide across thousands of industry verticals. However, every business is unique in its own way and has a characteristic workflow process. An off the shelf Salesforce platform cannot fit each business alike and give the desired result. Therefore, to achieve the required features or functions which are not available as a part of Salesforce application to realize your business goals it needs to be customized accordingly.